Skye Gravestones | Katie (Macpherson) Matheson. 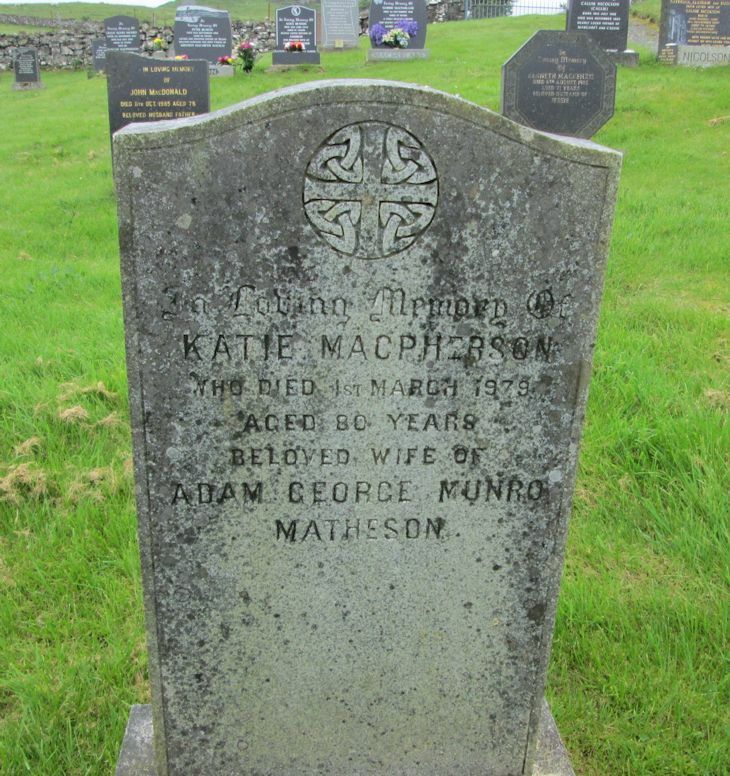 In loving memory of/KATIE MACPHERSON/who died 1st March 1979/aged 80 years/beloved wife of/ADAM GEORGE MUNRO/MATHESON. Picture Added on 26 July 2014.